Eukaryotic cells contain a large, pale, spherical or oval body in their surrounding cytoplasm called Nucleus. 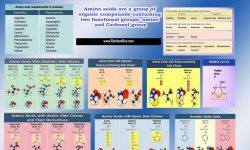 It is most prominent structure as if contains the genetical materials and also functions in the control of cellular activities such as protein synthesis, cellular growth, and reproduction either by asexual or sexual or both. It contains and protects the majority of the cell’s DNA in the form of chromosomes. DNA also occurs in the mitochondria and chloroplasts. Surrounded by a nuclear envelope with pores. Nuclear pores regulate the passage of materials between the nucleus and the cytoplasm. The double membrane has an inner and outer membrane separated by a space. and has ribosomes attached to its surface? Nucleoplasm (gel) contains the chromatin (chromosomes) and a nucleolus (plural nucleoli). The nucleus is present only when the cell is not dividing. When the cell is not dividing, the nucleus and nucleolus are visible under the light microscope–but the chromosomes cannot be seen. 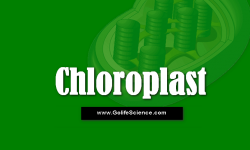 While DNA is found in the chloroplast and mitochondria of eukaryotic cells, the majority of the DNA is located and protected within the cell’s nucleus. 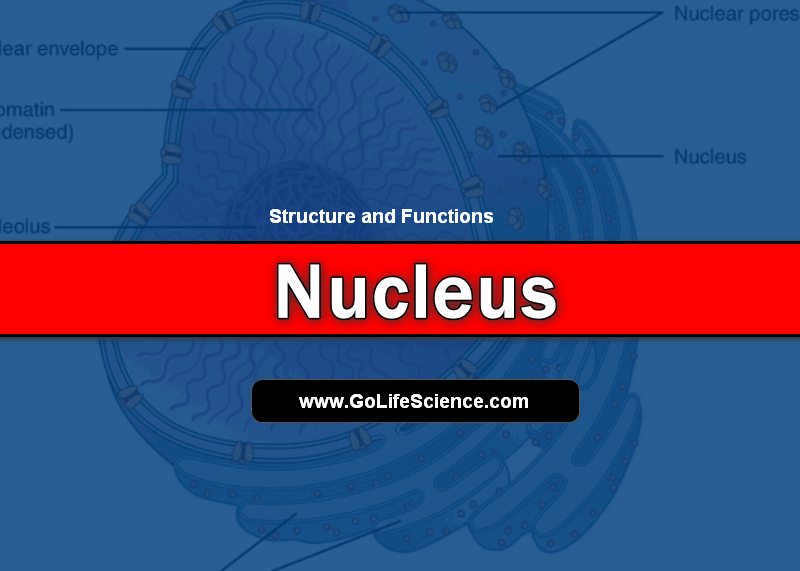 The nucleus is the largest organelle and is most visible in slides. It occupies about 10% of the volume of the cell and typically averages 5 microns in diameter. During the first part of a cell’s life cycle (growth phase 1), the DNA molecules exist as long threads surrounded by proteins. In this state, the DNA lengths are called chromatin. Were you to view a slide of a cell during this stage, you would not be able to see the DNA as discrete units. The nucleus would simply appear as a dark nut or kernel thus the organelle’s name nucleus (=kernel). 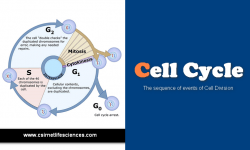 During the synthesis stage (second part of the cell growth phase), the chromatin threads replicate in preparation for mitosis or meiosis I. The original chromatin length and its copy are called chromatids and are temporarily joined together at a point called a centromere. 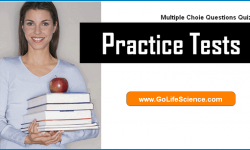 It is not until the first phase of mitosis or meiosis I (prophase) that the DNA lengths condense into the shorter, thicker and finally visible chromosomes. It is important to realize that a DNA molecule, a length of chromatin, a chromatid and a chromosome are all the same unit. The DNA material takes up most of the volume of the nucleus. Surrounding it and protecting it is a nucleoplasm, much like the cytosol found in the rest of the cell. The nucleoplasm is rich in nucleotides to make nucleic acids and amino acids to make proteins. Ribosomes and one or more nucleoli (singular nucleolus). The nucleus is part of the endomembrane system. A double layer of semipermeable (porous) membranes (nuclear envelope) surrounds it. The nuclear envelope is a bilayer of lipids and proteins. The two layers are separated by a space of about 20-40 nm. The outer membrane is studded with ribosomes and is continuous with the membranes of the rough endoplasmic reticulum (ER). The space between the two layers of nuclear membranes is also continuous with the space of the rough ER. This space in between the nuclear membranes and the space in the ER can fill with proteins and proteins can pass between the two organelles. True of all the membranes of the endomembrane system, the nuclear envelope is strengthened by a mesh of protein filaments. Both the endoplasmic reticulum and nucleus membranes are connected via membranous extensions to the plasma membrane and Golgi apparatus. The nuclear pores regulate the passage of materials between the nucleus and the cytoplasm. Lining the inside of the inner membrane is a layer of intermediate protein filaments 30-100 nm thick (nuclear lamina), which is hypothesized to add strength and shape to the nucleus, to control the assembly and disassembly of the nuclear membrane during prophase. After the proteins making up these laminas are phosphorylated, the nuclear membrane begins breaking up into vesicles that appear to disappear during nuclear division. During telophase, these proteins lose the phosphate group (dephosphorylation) and the proteins reassemble forming the nuclear membrane. the nucleus cannot reform during telophase. Genes “turn on” (gene expression) and a complementary strand of RNA is made of a particular gene. It is important to realize that in gene expression, that the entire chromosome is not copied and the copy made is not complimentary DNA but instead is RNA. Prior to exiting the nucleus RNA is called primary or nuclear RNA, but after it exits the nucleus it is called messenger RNA. Chromosomes are replicated (DNA replication) in preparation for nuclear division (mitosis or meiosis I). I used the word chromosome even though the DNA lengths are still in their chromatin state simply because people think, in general terms, of DNA as chromosomes. The number of chromosomes differs in various species, but all members of a particular species have the same number. Humans (Homo sapiens) have 46 chromosomes (two sets or a pair of twenty-three different chromosomes) in autosomal or body cells, and one set or one of each of the 23 types of chromosomes in gametes~sperm or egg cells. The number of sets of chromosomes is called the “ploid” number. Body cells are diploid they have two sets, while gametes are haploid having one set. Pores about 100 nm in diameter perforate the nuclear envelope. 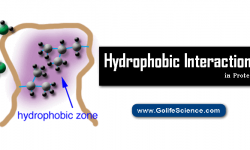 Occur in areas of the nuclear envelope, where the inner and outer membranes are joined. At the lip of each pore, the inner and outer membranes are fused. An intricate structure of proteins called a “pore complex” lines each pore and regulates the entry and exit of certain large macromolecules and particles. The pore is formed by a ring of eight spokes that point to the center of the pore. Each spoke is a subunit 15 – 20 nm in diameter. At the center is a diaphragm or plug. The pore itself acts as a water-filled channel 10 nm in diameter. Molecules of 5,000 MW are freely diffusible, while those of 60,000 MW cannot enter by diffusion. This means that mature ribosomes with both subunits attached together are too large to reenter the nucleus. So this means that the translation of mRNA occurs outside the nucleus. The pore can be caused to dilate open up to 26 nm when the pore recognizes certain peptide sequences rich in lysine, arginine, and proline. These proteins control the direction molecules can actively be transported (active transport requires an expenditure of ATP energy, so it costs the cell) through the pore. In tests, gold-labeled tRNA or 5S RNA could exit through the pore, but not enter. Transport of RNA is inhibited by alteration of the 3′ end of the 5′ cap structure. The protein signal is so refined and specific, that if the sequence is altered by even one amino acid the peptide no longer passes through the pore. While proteins can bind to the surface of the nuclear membrane, they can only enter the pore in the presence of ATP. The nuclear lamina, a netlike array of protein filaments gives the nucleus its shape. This lamina lines the inner surface of the membrane. These subunits leave the nucleolus cloud and exit the nucleus through its pores. 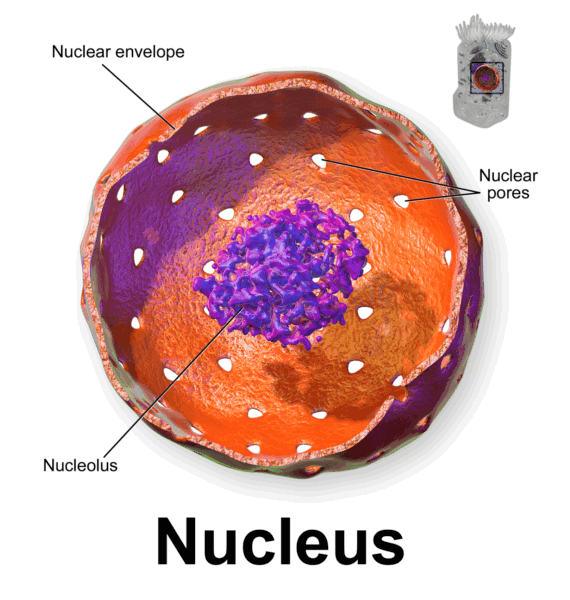 There is a region of the nucleolus that is called the “nucleolus organizer”. Certain genes of chromosomes that are located here make many identical copies of the same rRNA gene. Humans have five pairs of chromosomes (13, 14, 15, 21 and 22) each that have a nucleolar organizer located at a constriction near one end of the chromosome (this is a second constriction, not the centromere). All of the copies of the rRNA are expressed within the same short period of time resulting in a large number of rRNA molecules, which bond with proteins forming large and small ribosome subunits. This is a spherical organelle within the nucleus. The nucleolus contains histones, enzymes, nucleotides, amino acids, and RNA. Ribosomes are aggregates of copies of RNA (called ribosomal RNA) aggregate with certain proteins into three-dimensional bodies called “subunits”. Two subunits join together to form a mature ribosome that then becomes a site for reading messenger RNA. There are certain blocks of genes (on chromosomes 13, 14, 15, 21 and 22 in humans) that code for the production of these particular proteins and for this type of rRNA. Those chromosomes, that contain these genes, aggregate in the area making up the nucleolus. These blocks of active genes act as “nucleolar organizers”. These genes are veritable copy machines continually “turning on” (gene expression), making sufficient copies of RNA to produce the proteins necessary for the production of ribosomes, which then become the site of further protein synthesis. 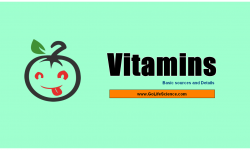 An average, healthy cell reportedly can produce up to 10,000 ribosomes per minute.